Robert was the second son of Lieut-General Hon. 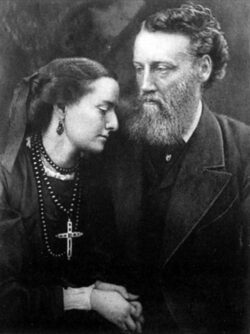 James Lindsay and Anne, daughter of Sir Coutts Trotter, Bart. His great grandfather was James Lindsay, the 5th Earl of Balcarres. In 1858, he married the Hon. 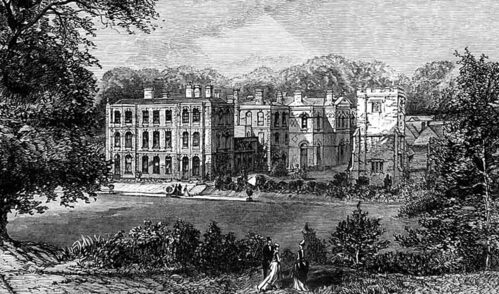 Harriet Sarah, the only child and heiress of Samuel Jones Loyd, Lord Overstone, and they settled at Lockinge House, near Wantage, in Berkshire, which his lordship had given them as a wedding present. Robert was educated at Eton from which he entered into a career in the army. He joined the Scots Fusilier Guards in 1850 and serving throughout the Crimean War, where he obtained the Victoria Cross for gallant deeds at Alma and at Inkermann. His defence of the Queen's Colours at Alma is commemorated in his last gift to the town of Wantage, the Victoria Cross Gallery Pictures. Shortly after his return from the Crimea, Robert was appointed Equerry to the young Prince of Wales. After leaving the Army, he entered Parliament in 1865 and sat for twenty years as Conservative Member for Berkshire, till he was raised to the Peerage in 1885. He was, for fifteen years, Lord Lieutenant of the County of Berkshire and, as such, took the lead in county work and in all important county movements. He was closely connected with the Volunteer movement from its formation, as Colonel of the Royal Berkshire Volunteers and, subsequently, as Brigadier-General of the Home Counties' Brigade. He filled the Office of Financial Secretary to the War Office from 1877 to 1880 and, throughout his life, maintained an active interest in all Army matters. He founded, at the time of the Franco-German War, the English Red Cross Society and personally organised and directed its work in many subsequent campaigns, including the Boer War in South Africa. These and numerous other public duties did not cause him to neglect work nearer home. Lord Wantage was Chairman, and practically Manager, of a large commercial enterprise started by a near relative of his, the London Electric Supply Corporation, which he steered successfully through many difficulties. From his Berkshire home of Lockinge House, he was elected a Governor of the Wantage Town Lands and Chairman of the Governors of the local Grammar School in 1860. He subsequently became associated with almost all the useful undertakings of the neighbourhood, such as the Wantage Tramway Company, the Wantage Coffee House Company, King Alfred's School, the Wantage Cottage Hospital and the Town Reading Room. Lord Wantage was an active member of Berkshire County Council and President of Reading College (now the University), in the Agricultural Department of which he took a special interest. As a large landowner in Berkshire, and himself a farmer on an extensive scale, he took a deep and active interest in all matters relating to agriculture and the welfare of agricultural labourers. He practically re-built most of the villages on his estate, besides promoting many and varied works of utility on his own property and in the County generally. Amid these many occupations, Lord Wantage did not forget the town from which he took his title and presented to it the noble statue of King Alfred the Great, by Count Gleichen, which adorns the Market Place. He also bore the greater part of the cost of erecting the new Town Hall and greatly assisted in building the Corn Exchange or Victoria Cross Gallery, to which he presented the collection of pictures already alluded to. He was a liberal contributor to the expense of building the new Science Schools attached to Wantage Grammar School and contributed a large portion of the capital necessary for the laying down of the Tramway to the town’s Railway Station. Lord Wantage took over the Wantage Engineering Works on the retirement of Messrs. Robinson & Auden, out of consideration and for the benefit of the town, adding new and more convenient buildings, greatly increasing the size and capacity of those already in existence, and fitting up the whole with the newest and most improved machinery. In these and in other ways too numerous to mention, Lord Wantage helped forward the town.